Get in touch with Dr. Barry S. Rothman, Ph.D.
Sheryl has an MD, MPH from UCLA and served as a student interviewer at UCLA Medical School. Her expertise is in medical school admissions and editing. Get in touch with Dr. Sheryl Neuman. Get in touch with Cindy Tokumitsu. "I ended up with 5 MD and 4 DO interview invitations. I interviewed at 4 of the 5 MD schools and was accepted at a UC Medical School, which I accepted and didn't proceed with the remaining interviews. Thank you for all of your assistance." Applying to medical school is difficult. There are many places to fail, and failure is both frustrating and expensive. That is why you don't feel confident you'll get accepted. So how can you feel confident that you are submitting the best application possible? Accepted has expert admissions consultants who help you stand out and get accepted. 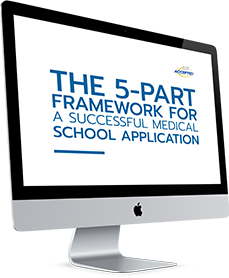 With an expert admissions consultant guiding you through each step of the process, they help thousands of applicants like you get accepted to your top choice medical school. Don't stumble through the application process alone. 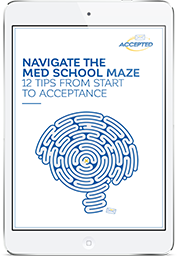 Get the help you need to confidently begin your medical school journey.